1. Do you think it is wise now to buy a house and get hooked on a mortgage knowing that 2015.75 is around the corner? 2. 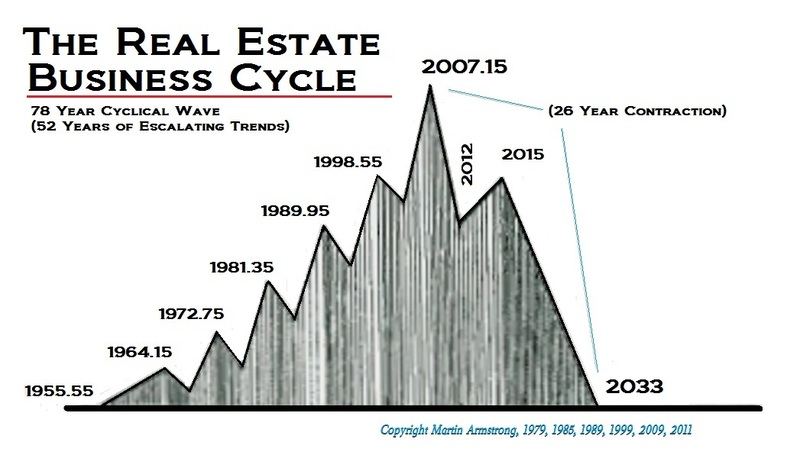 Do you think residential real estate valuations and interest rates will collapse on the other side of 2015.75 and should I wait until around 2016.8 to buy? Mortgage rates are going into a major low. When the economy turns, the availability of mortgages will decline as always with the cycle. If you have cash and want to buy real estate cheap, yes it is wise to wait. If you want to play the game, then you can buy now and hedge this with shorts/puts on bonds. It depends on your expertise. Depending on the area, those that have seen the sharpest advances will drop the most. There should be some stabilization as foreign capital will still flow into the USA and real estate plotted in dollars may decline while it is still rising in Euros or Yuan.